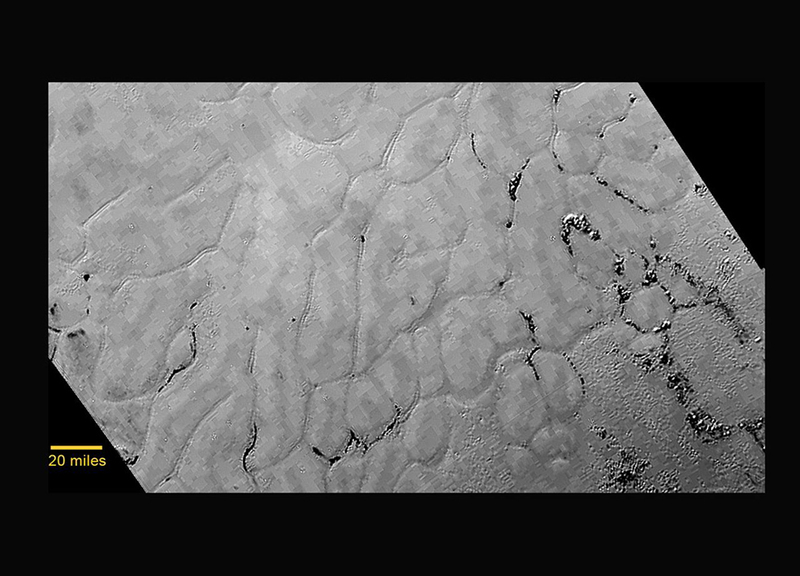 Data reported by NASA's New Horizons New Horizons mission to the Pluto system shows unusual terrain in this region, which features a large deposit of nitrogen ice with a pattern of polygons that are thickest at their centers and dip at their edges. Purdue University researchers have proposed that the polygons seen in the images could be individual Rayleigh-Bénard convection cells. A paper detailing the work will be published in the journal Nature online on Thursday (June 2). The Fredrick N. Andrews Fellowship and a NASA geology and geophysics grant funded the research.